Summer Reading Series of Giveaways Starts Now! It has been far too long since I have hosted a giveaway with Go Dairy Free, and I don’t know about you, but I am in a total book mood. It must be that beautiful sunshine (here at last!) calling me to relax in the shade with a good cookbook. 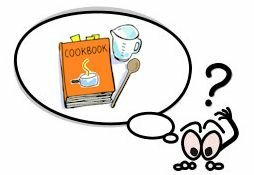 Yes, I read cookbooks, and I am sure many of you do too! I will be giving away one or more books / cookbooks each week for all of July and August, and Snubbr.com is here to help me kick off the series. Snubbr is a “personal shopping assistant” that utilizes experts to make recommendations for consumer requests. Take a look at the “Best Dairy-Free Cookbooks” recommended on Snubbr.com, and let me know which book you would like to win in the comment section of this post. It is that easy! 1st Entry – Comment and let me know which cookbook you would like to win from this selection. 3rd Entry – Sign up to receive One Frugal Foodie posts via email (see upper right corner of this blog), and let me know that you did in another comment. Just wanted to give you a few more options for fun this time! You have from now through Monday, July 12th to enter. The winner will be announced on July 13th … and the next surprise giveaway will be announced on the 14th! Please note that these books were selected by Snubbr.com and their team of experts, with no influence or guidance from myself. I am honored that Go Dairy Free was selected as one of the favorites, but feel free to pick it or one of the other cookbooks as your choice to win. Don’t worry, my feelings won’t be hurt! Pingback: Latest dairy gluten free recipes news – One Frugal Foodie » Summer Reading Series of Giveaways Starts Now!